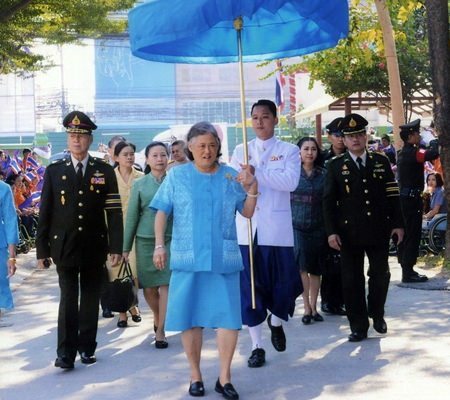 On the morning of Thursday the 28th of January, Her Royal Highness Princess Maha Chakri Sirindhorn arrived in Pattaya to preside over the opening ceremony of the Father Ray Center for Children with Special Needs. 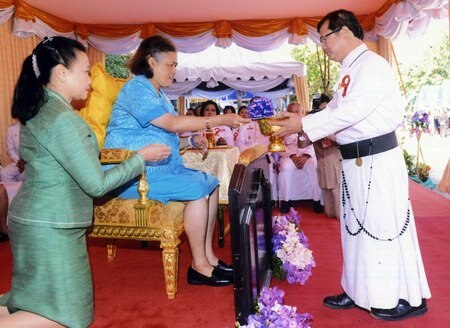 Her Royal Highness was welcomed to Pattaya by Father Michael Picharn Jaiseri C.Ss.R., Vice President of the Father Ray Foundation. Dignitaries from the local Pattaya area as well as those from the wider province attended the ceremony, as did many local individuals and business owners. Her Royal Highness arrives at the Father Ray Foundation. Her Royal Highness was also welcomed by several hundred flag waving children and students with disabilities who are currently living under the care of the Father Ray Foundation. The idea of the new Center was publicly announced in August 2013 to commemorate the tenth anniversary of the passing of the founder of the Father Ray Foundation, Father Ray Brennan C.Ss.R. 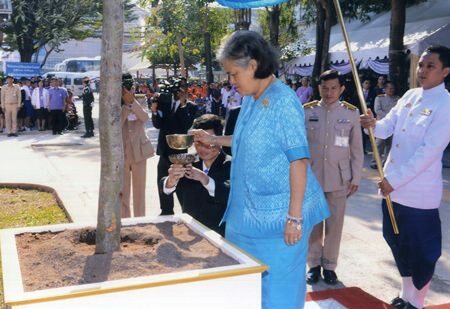 The Princess plants a tree to commemorate the special occasion. It took a lot of hard work and persuasion to raise the required thirty six million baht, but this was a project that the Father Ray Foundation had to complete. For many children living with special needs in the local area, there are very few, if any, facilities where they can receive the therapy, education and support that they and their families need. Children who are autistic, or who have Down’s syndrome, cerebral palsy, ADHD and learning disabilities will now receive the help they need. The Princess signs the guest book. The new Center will offer early intervention therapy, occupational therapy, physiotherapy, age and ability appropriate education, life skills and vocational training as well as counseling and training for families. Her Royal Highness presented one hundred specially designed awards to individuals, charitable organizations and businesses who donated money and equipment to ensure the new Center could be built. 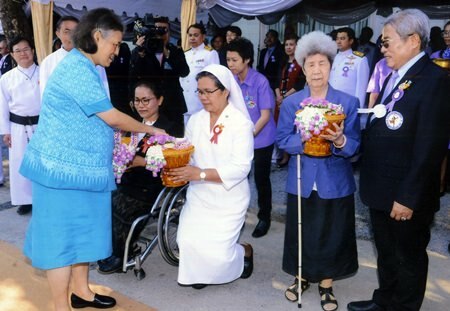 Her Royal Highness was welcomed by Sister Pavinee and Khun Aurora from the Pattaya School for the Blind. During the visit Her Royal Highness toured the four storey building and showed her interest in the children who will make use of the Center. 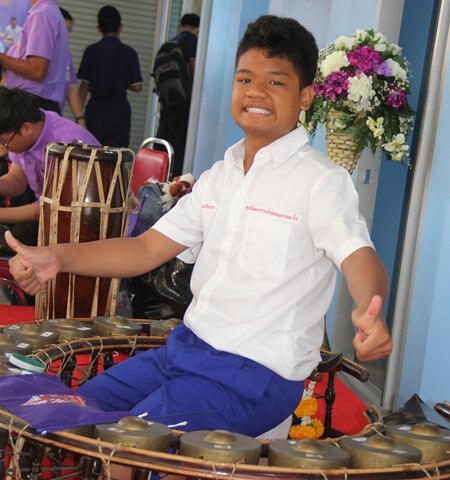 Several teenagers performed a variety of musical numbers using traditional Thai instruments, impressing Her Royal Highness who is herself a noted and talented musician. 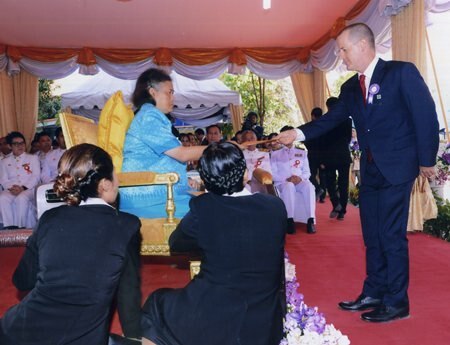 Father Michael presents Her Royal Highness with a souvenir programme. Donors arrived not only from the local Pattaya area, but also from around the world. Several members of management and cabin crew from British Airways attended the ceremony. 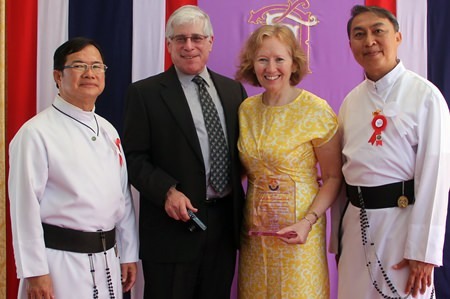 Representatives from the UK based Thai Children’s Trust, the Danish Den Danske Pattaya Fond, the French Les Amis de l’Orphelinat de Pattaya and the Hong Kong International School all received an award as a mark of appreciation for their support and generosity. The visit by Her Royal Highness was short, but the memories of the visit will last in the minds of the children forever. Her Royal Highness presents a Royal Award to Premprecha Dibbayawan for his generous contributions to the center. 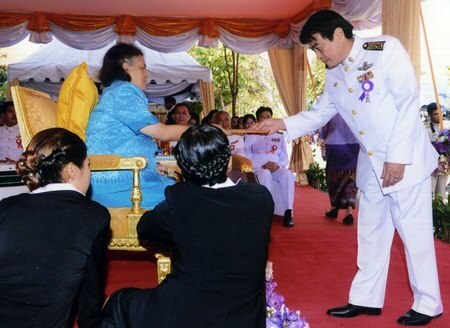 Her Royal Highness presents a Royal Award to Pattaya Deputy Mayor Ronakit Ekasingh. Derek Franklin is recognised for his hard work and dedication to the Father Ray Foundation. British Airways cabin crew met the children who will benefit from their donation. It was a happy day for staff at the new Center. Father Michael and Father Peter thank representatives from the Hong Kong International School for their donation to furnish the canteen. 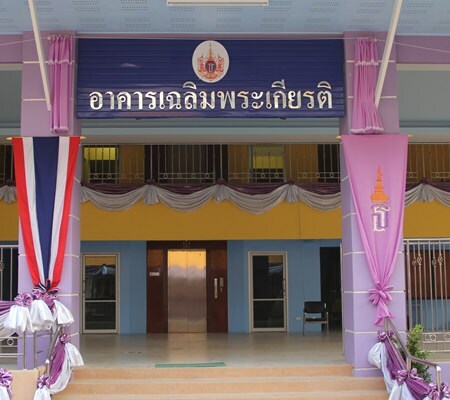 Her Royal Highness named the new building Chalerm Prakiat in honour of her 60th birthday. Father Michael and Father Peter meet the BA cabin crew. 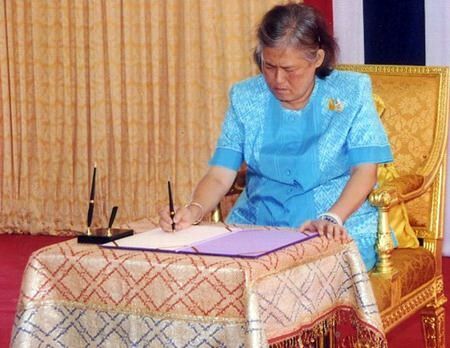 A student played traditional Thai songs in honour of Her royal Highness. Next articleShould manufacturers be in F1?